Sometimes the strangest things are very close to home. The other day I finally had the chance to stop off in the village of Daya Vieja and climb to the bizarre palm observatory. It is located in the central Plaza León. That’s where the town hall is with the wonky clock appendix and a tiny statue of a lion. Those are easy to miss, but the observatory is not! You walk round and round (and round!) a cluster of six palm trees to the observation deck which stands 10m above the square. From there you’ll be afforded magnificent views of the surrounding countryside and a rare birds-eye view of the church. Why is it there though? Well, it seems that a few years ago one of these clutches of palm trees collapsed and was lost forever. The one which stands today is supported by the structure of the observatory which is built in the same way that you might construct a roller-coaster at a fairground. It is an intriguing structure designed and built by Spanish architect Joaquín Alvado Bañón. 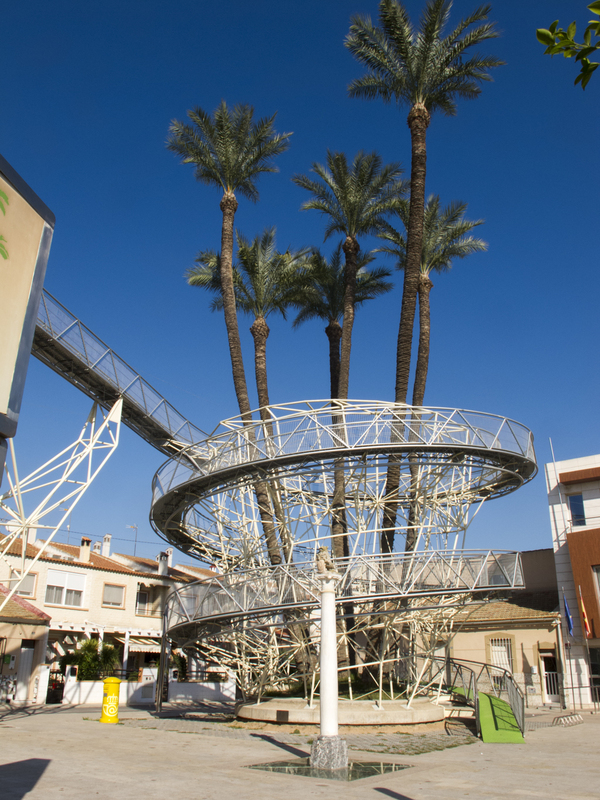 El Mirador de la Palmera, which was completed in 2011, is also known as Variation Guggenheim 3, with the circular ramps paying homage to the Guggenheim Museum in New York. 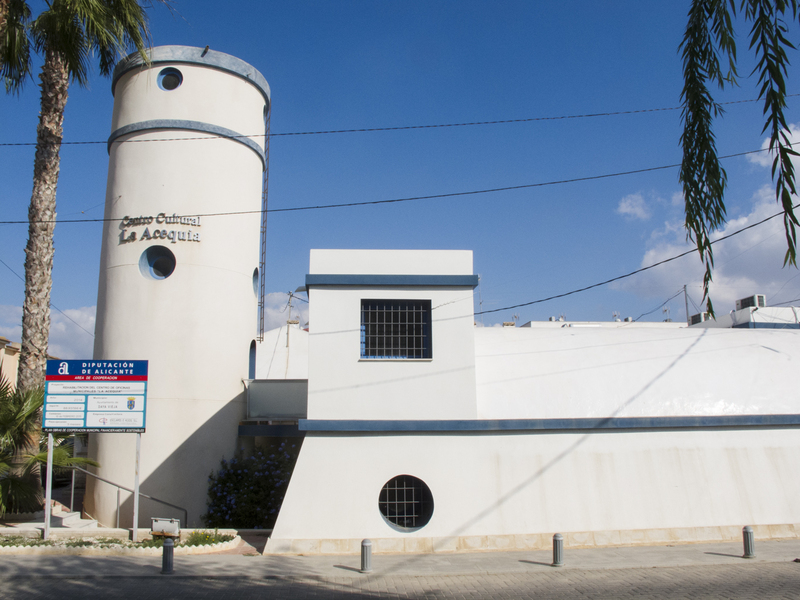 Elsewhere, the old moorish water cistern has been converted into a magnificent cultural centre. 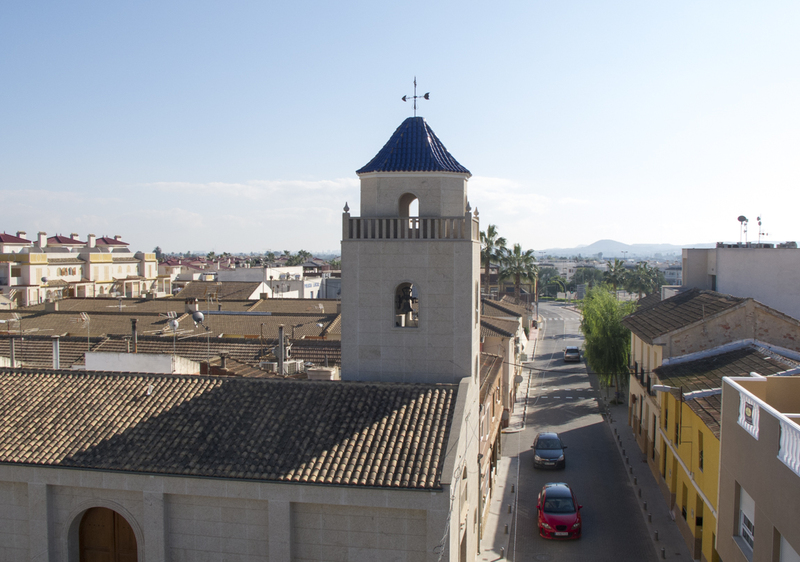 This is in keeping with the long history of the village which stretches way back to the time when this part of Spain was under the influence of the Moors.